Woocommerce Vs Magento ! Which is better Ecommerce Platform? 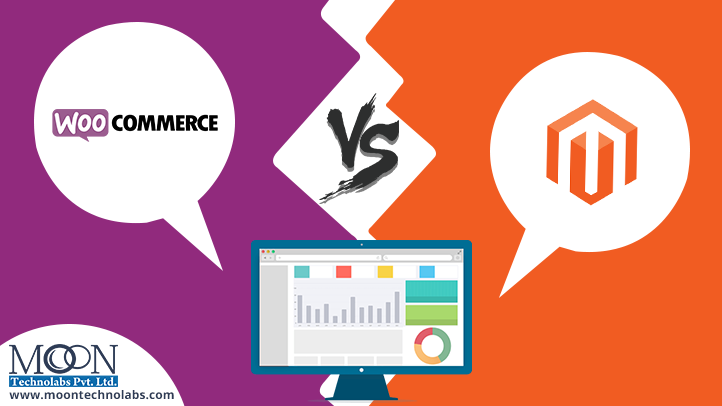 Woocommerce Vs Magento! Which is better Ecommerce Platform? Today Woocommerce and Magento are the most popular Ecommerce platform. There are various options ranging from pre-built stock templates to custom developed frameworks. But these two are the best today. They have the backing of their own strong communities: WordPress users for WooCommerce and eBay advocates for Magento. If you are planning to set up an Ecommerce website and want to start business online then it’s very important to decide on which Ecommerce platform to choose to establish your business online. There are lots of reasons why these are better than others and let’s compare these two. Cost Effective:- Both Ecommerce platforms WooCommerce and Magento are free. There’s no hidden costs and no on-going subscription fees so in turn you can keep your project costs down and spend as much time on development as possible. Open Source:- WooCommerce and Magento are open source platforms, granting us access to the nuts and bolts which powers the platform. After development of website it is fully yours and can do anything with the code or other admin stuff. Robust & Secure:- Both options have excellent support, outstanding security and a wide range of powerful eCommerce features so most of businesses prefer to get their websites build in these two platforms. Let’s check out the key features of these two platforms. Content Editor:- Anything that allows us to edit anytime and anything we want is the powerful one. When you can focus to edit content on your website right then and there. If you’re running a flash sale and want to promote it on your site then such edit options helps a lot. Magento 2.0’s intuitive backend makes it much easier to edit your content. SSL:- Having an unsecure checkout is dangerous for your business but also for your customers! With WooCommerce and Magento, merchants are responsible for purchasing their own SSL certificate for their stores, usually separate from their payment gateways, such as Authorize.net. Hosting:- For Magento and Woo, merchants are responsible for finding their own hosting solution such as Nexcess or iNetu. Because WooCommerce is an extension of WordPress. This makes WooCommerce very easy and cost effective to jump start. Magento has a slightly longer list of server requirements which makes sense given that its technical structure is a bit more complex than WordPress. Extensions and Apps:- Magento and Woocommerce both has its own set of extensions. Magento Connect offers thousands of extensions that further expand Magento’s capabilities. Woo has some neat add-ons, including product ratings, featured products, bestsellers, and products on sale. Despite some useful initial features, it is a limited platform for eCommerce; plugin updates have been known to break functionality, and less API extensions and less documentation restrict its utility with other major tools. And many more other features. With the combination of all this and with expert Magento web development one can make a powerful website. Moon Technolabs does this and have skilled Magento developers who can build websites using Magento and Woocommerce. 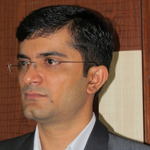 Developers are comfortable in working with it and made a satisfactory clienteles. Contact for more info.